Nothing means success to a family holiday like happy children and teens! When you see the excitement on their faces each morning as they race off to meet their new friends, you know you are on a winning holiday. At Carlisle Bay we offer organised kids’ activities for all those from tots to teens. Children can start in our Cool Kids Club when aged 6 months to six years and when you return year after year they can graduate to our Crew Blue programme for older children seven to twelve years. 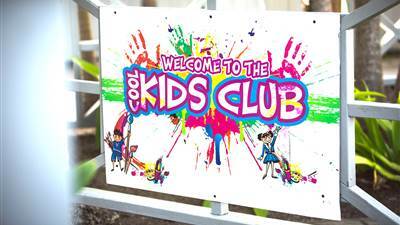 Our Caribbean Cool Kids Club is open 7 days a week from 8.30am to 12.30pm and in the afternoons from 1.15pm to 4.15pm success to a family holiday like happy children and teens!